One more advantage of using the BufferedReader for reading a text file is its ability to read file line by line. It provides a readLine() method which can be used to read a text file line by line in Java. read(char cbuf) - to read characters into an array. This method will block until some input is available, an I/O error occurs, or the end of the stream is reached. This method either return number of characters read or -1 if the end of file has been reached. The method comes from the Reader class. read(CharBuffer cbuffer) - to read characters into a CharBuffer, this is similar to the previous method except that it reads characters into a CharBuffer object instead of the array. This method also returns a total number of characters read or -1 if the end of file has been reached. This method also belongs to java.io.Reader class. read(char cbuf, int off, int len) - to read characters into an array but gives you control where to store the characters read from a file. You can specify offset i.e. the indices to start and length, how many characters to store. readLine() - to read a Line of text. You can use this method to read a file line by line in Java. A line is considered to be terminated by any one of a line feed ('\n'), a carriage return ('\r'), or a carriage return followed immediately by a linefeed. This method returns a String containing the contents of the line, not including any line-termination characters, or null if the end of the stream has been reached. Many Java developer uses BufferedReader class just for this method. Btw, from Java 8 onwards there are many ways to read a file line by line in Java e.g. you can use Files.lines() method to get all lines as Stream in Java and then you cannot only read them line by line but also you can also use Stream operations e.g. map(), flatMap(), filter() etc to perform useful operations. 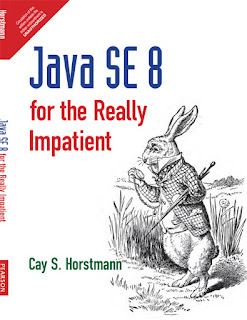 If you are not familiar with functional programming and Java 8 see Java SE 8 for Really impatient to learn more about basics of functional programming with Java 8 syntax. Here is our sample Java program to read a plain text file using BufferedReader. In this program, I have shown two examples of BufferedReader class, the first one reads file content into a character array and the second one reads the text file line by line. If you notice carefully, while converting the character array to String, we have correctly used the offset and length because it might be possible that the array which you are using for storing content, may content dirty data from the previous read, as we are not cleaning it up after every read. That's the advantage of using offset and length, you don't need to clear or clean the array. 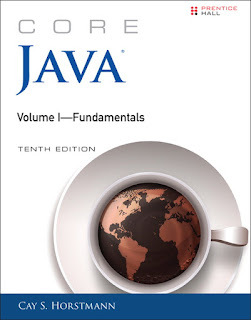 See Core Java Volume 1 - Fundamentals to learn more about file reading in Java. * Java Program read a text file using BufferedReader. * into a character array. You can see from the output that we have successfully read the text file. In the second example, since we have used the try-with-resource construct, you don't need to manually call the close() method of BufferedReader, it will automatically be called by Java. The catch clause is there to catch the IOException thrown by the close() method. That's all about how to read a text file using BufferedReader in Java. As I said, there are two main reasons to use the BufferedReader class, first the buffering it provides which makes reading efficient, and second the readLine() method it gives, which allows you to read the text file line by line. If you running in Java 8, you can also use streams to lazily read the file content by using Files.lines() method which returns a Stream of String from a text file. You can then perform operations like map() and filter() on file content.